I see prices, what’s the difference? What do I ask my potential Wedding DJ? · Tailor your questions to what’s personally important to you. I hope this article not only prepares you with the right questions for you to ask, in a 21stcentury way, but that it helps mold your vision so you have a great wedding experience that’s uniquely you. You, like me, have probably been in a store, seen an item on the shelf you wanted, and you, like me, thought you could get a better price elsewhere, so you like me whipped out your cell phone and hit up…let’s say Amazon (hmmm…should I say like me?) and found a better price (or not). You end up perplexed debating the different prices for your potential DJ. Shall you go with the lowest…and what does each price actually mean? Let me first tackle a thought that’s prevalent in the world of wedding entertainment. There’s a thought that a DJ’s a commodity (a DJ’s a DJ’s a DJ), but let me help you with something, more importantly, think about what you want? Your wedding and reception is more than a lavalier and handheld mics, a music playlist, “announcing all your announcements”(true story, I saw that on a DJs website before) and four hours of music for your event, it’s what you want to feel. How does that factor into what you want to experience? After reflecting on who you are and what is consistent with your personality, let’s explore what questions you can ask yourself as a couple before hitting up a DJ’s Facebook message box. · What do we want the feel of our wedding and reception to be? o Do we want it to be fun and/or exciting or quiet, elegant and/or reverent? You both have unique personalities; how do you want to blend your individual personalities together? · What do we want our guests to remember? o Let me ask you: Do you want them to remember a fun time or something unique about how you met? How would you like them to engage with you and each other? If you, like me, come from two cultures how do you want to make sure that each cultural background is blended into the reception, and how might you like cultural traditions introduced to family and friends who might be experiencing them for the first time? · How do you want your interaction with your wedding vendor to feel? o Do you want someone who executes the plan that you have already developed, creates a plan for you, or someone who can creatively co-create the plan? How simple do you need interaction to be? Do you prefer to interact with multiple vendors? Do you need a coordinator who can collaborate and work well with others? Perhaps you don’t have time to spare and will lean on your coordinator? It’s not a usual practice to review these questions as you look for someone, but they give you both special insight into what the feel of your wedding reception will be and give you an idea of how to find a great match for your wedding entertainment. In summary, this self-exploration provides clarification and reflection so you know how your dream wedding looks and feels. Essential question first (and you can ask it by email/Facebook/text message), are you insured for liability? Most will say yes, but a few may change the subject or say with a chuckle, no, some might outright say no. Liability insurance is required by most facilities. Yes, some venues will trust a DJs word that s/he has insurance, but God forbid an injury takes place, or there’s damage to the facility. It would be difficult to get funds from a DJ if s/he is liable, but uninsured (and I don’t want you to spend your honeymoon anxiously expecting a bill once you return). You may be able to purchase an insurance policy that covers your DJ in the event s/he doesn’t have insurance; however, I feel you need to make sure you understand the story of why you need to fund this portion of his or her business operation (in other words, a professional should have the appropriate insurance for his or her business). Once s/he passes the insurance test, asking questions basically comes down to an informal interview. Once you determine that s/he is available for your date, I’d recommend starting with a short inquiry in a dialogic manner, “we’re getting married at the _______ on (date), and we need a DJ from pm to pm for our reception. Are you familiar with this venue? The DJ on the other end of the message hopefully understands that you need some more information. What I’d recommend is that you look for one who is curious and wants to bring out your personality and listen to your story. If you want a fun wedding include that in your message and be prepared to be asked what’s fun to you? Is fun witty toasts or everyone shouting on the dance floor? You want someone who works well with others (not just you, other vendors too). In this case, you get a chance to see if s/he’s worked with him before, how s/he talks about working with others and you get an opportunity to see if s/he is curious about your photographer and wants to reach out to him to ensure you have a momentous day (having someone who works well with others is a big plus). Something I’d want to know is how does s/he prepare you for your big day. I don’t feel just showing up and having the music is enough. How will he prepare your bridal party for their toasts? Will there be coaching or resources provided ahead of time? How does s/he direct the wedding party where to move and stand? I would recommend being attentive to your interaction especially if you’re now chatting on the phone. Yes, text, email and Facebook messages are quick and convenient methods of initial screening. However, there can be a misinterpretation of nonverbal interactions (what I mean are the tones, inflections, verbal pacing and pauses). Video interaction, primarily recorded, could be a good intermediate step between emails/texts and phone/live video interaction. When you have your chat on the phone/live video, ensure it’s at a place in your interaction where you feel comfortable with the business relationship. Find someone who not only works well with your personality, but who also brings out yours, making you feel comfortable, thus broadening your knowledge. Questions you ask yourself and your DJ as well as other vendors give you clarity helping you find the right match for your special day. Like I say to myself and others, you only have one chance to pull off a great wedding reception or anniversary party. Since you have only one chance it’s best to be informed and well-prepared for your event with the right match. That is my wish to you and for you! May the ambiance created by your MC magnify your personalities and immerse your guests into your unique world! 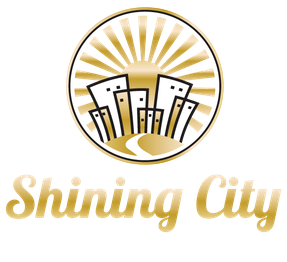 Sean Pasin, MA, is the Owner and Operator of Shining City Music Entertainment, a Mountain View, CA based Master of Ceremonies, DJ and Lighting Design Business serving the San Jose, Silicon Valley and Monterey County. He is a married father of two young children. Trained in the Marbecca Master of Ceremonies Method and Audiomazing Love Story Course, he provides creative options to make his creative partners have memorable and fun events. He currently serves on the Board for the Bay Area Chapter of the American Disc Jockey Association, is a US Army Veteran (which carried responsibility for formal events) and has a Master of Arts in Communication Studies from San Jose State University.